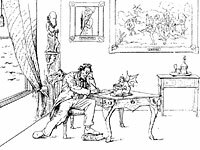 I know you have but little time to read letters of mere compliment, but if you ever do such things at all I have thought that it might tend to strengthen your resolves in cases of deep importance. I most sincerely thank you for Your 22 of Septe[mbe]r proclamation. 1st I believe it is right as far as it goes. I should have liked it better had it been unconditional freedom so far as you could make any proposition unconditional; but I do not forget that you are to be the judge and that you have done much. 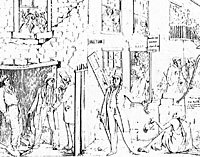 Third The stay at home men pro slavery democrats, who lately sought your alliance in organizing a so called conservative party, were only rallying their strength to dispute your power, as the commander in chief, to strike a blow at slavery, if you deemed it necessary to do so. These men now deny your power and are opposed to the proclamation. Fourth It will afford a better safer broader and more substantial platform – (I mean the proclamation ) than any we have heretofore had, and will rally in support of the Government and Country a larger support than we have had heretofore. It will kill all old parties and simplify the matter, so that we shall have the Army & Navy and all truly loyal men on one side – and Jeff Davis so called confederacy & his sympathizers on the other. In Illinois, the impact on the Republican Party was near disastrous. 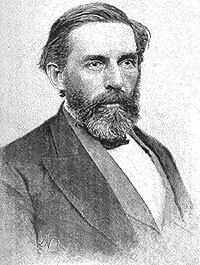 Lincoln chronicler Blaine Brooks Gernon wrote of the President’s home state: “The emancipation proclamation proved a further wedge, for while many in the state were abolitionists, there were others who feared that the war would become one to free slaves rather than to save the Union. All of this war reflected in the state elections, in which Lincoln’s old friend, William Butler, despite his Union banner, was defeated 136,257 to 119,819, for state treasurer, and Allen, known disunionist, defeater Ingersoll, carrying 66 out of 102 counties in the race for congressman-at-large.”47 Republicans won only 6 of the state’s 14 congressional districts. 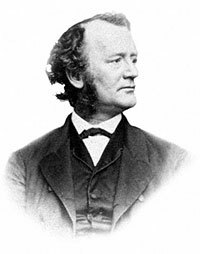 Abolitionist Owen Lovejoy won re-election by a 11,683-11,020 margin after winning in 1860 by nearly 11,000 votes. In the Springfield district, Republican friend Leonard Swett was defeated by Democrat John Todd Stuart. Democrats captured the State Legislature and Lincoln friend Orville H. Browning was ousted from the Senate. But the time for compensated emancipation in Missouri and the other Border States had passed. Issac N. Arnold, The Life of Abraham Lincoln, p. 266. James G. Randall, Lincoln the President, Springfield to Gettysburg, Volume II, p. 230. James G. Randall, Lincoln the President, Springfield to Gettysburg, Volume II, p. 232. Allan Nevins, The War for the Union: War Becomes Revolution, 1862-1863, p. 239-240. Joseph G. Holland, Holland’s Life of Abraham Lincoln, p. 394-395. Michael Burlingame and John R. Turner Ettlinger, editor, Inside Lincoln’s White House: The Complete Civil War Diary of John Hay, p. 40-41 (September 24, 1862). Michael Burlingame, editor, Lincoln’s Journalist: John Hay’s Anonymous Writings for the Press, 1860-1864, p. 312. Roy P. Basler, editor, The Collected Works of Abraham Lincoln, Volume V, p. 438 (September 24, 1862). Michael Burlingame, editor, Lincoln’s Journalist: John Hay’s Anonymous Writings for the Press, 1860-1864, p. 312-313. Oliver Carlson, The Man Who Made News: James Gordon Bennett, p. 352. Abraham Lincoln Papers at the Library of Congress. Transcribed and Annotated by the Lincoln Studies Center, Knox College. Galesburg, Illinois. (Letter from John M. Palmer to David Davis, November 26, 1862). Abraham Lincoln Papers at the Library of Congress. Transcribed and Annotated by the Lincoln Studies Center, Knox College. Galesburg, Illinois. (Letter from Montgomery Blair to Abraham Lincoln, September 23, 1862). Abraham Lincoln Papers at the Library of Congress. Transcribed and Annotated by the Lincoln Studies Center, Knox College. Galesburg, Illinois. (Letter from Henry Asbury to Abraham Lincoln, September 29, 1862). Abraham Lincoln Papers at the Library of Congress. Transcribed and Annotated by the Lincoln Studies Center, Knox College. Galesburg, Illinois. (Letter from John W. Forney to Abraham Lincoln, September 26, 1862). Abraham Lincoln Papers at the Library of Congress. Transcribed and Annotated by the Lincoln Studies Center, Knox College. Galesburg, Illinois. (From Charles A. Dana to William H. Seward, September 23, 1862). 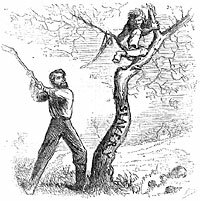 Lincoln and Emancipation, www.civilwarhome.com/lincolnandproclamation.htm, . Herbert Mitgang, editor, Abraham Lincoln: A Press Portrait, p. 302-303 (National Intelligencer, September 23, 1862). Herbert Mitgang, editor, Abraham Lincoln: A Press Portrait, p. 306 (Illinois State Journal, September 24, 1862). Abraham Lincoln Papers at the Library of Congress. Transcribed and Annotated by the Lincoln Studies Center, Knox College. Galesburg, Illinois. (Letter from Hannibal Hamlin to Abraham Lincoln, September 25, 1862). Roy P. Basler, editor, The Collected Works of Abraham Lincoln, Volume V, p. 444 (Letter from Abraham Lincoln to Hannibal Hamlin, September 28, 1862). Allan Nevins, editor, Diary of the Civil War, 1860-1865: George Templeton Strong, p. 262 (September 27, 1862). James M. McPherson, Crossroads of Freedom: Antietam, p. 139. T. Harry Williams, Lincoln & His Generals, p. 170. Stephen Sears, editor, Civil War Papers of George B. McClellan, p. 481 (Letter from George B. McClellan to William H. Aspinwall). Allan Nevins, War for the Union, War Becomes Revolution, 1862-1863, p. 238-239. Allen Thorndike Rice, editor, Reminiscences of Abraham Lincoln, p. 533 (James C. Welling). George H. Mayer, The Republican Party, 1854-1964, p. 106-107. Carl Sandburg, Abraham Lincoln: The Prairie Years and the War Years, p. 320-321. Hans L. Trefousse, Benjamin Franklin Wade, p. 187. Martin H. Greenberg and Charles G. Waugh, editor, The Price of Freedom: Slavery and the Civil War, Volume II, p. 6-7 (Edna Greene Medford, “Beckoning Them to the Dreamed of Promise of Freedom: African Americans and Lincoln’s Proclamation of Emancipation”). The Letters of William Lloyd Garrison, Volume V, p. 258. Herbert Mitgang, editor, Abraham Lincoln: A Press Portrait, p. 324-325 (Atlantic Monthly, November 1862). LaWanda Cox, Lincoln and Black Freedom, p. 7. T. Harry Williams, Lincoln and the Radicals, p. 181-182. Benjamin P. Thomas, Abraham Lincoln, p. 360-361. David Herbert Donald, Liberty and Union: The Crisis of Popular Government, 1830-1890, p. 148. Alexander K. McCLure, Abraham Lincoln and Men of War-Times, p. 111-112. William O. Stoddard, Abraham Lincoln: The True Story of a Great Life, p. 338. Samuel W. McCall, Thaddeus Stevens, p. 219. Samuel W. McCall, Thaddeus Stevens, p. 220. Blaine Brooks Gernon, Lincoln in the Political Circus, p. 176. James M. McPherson, Battle Cry of Freedom, p. 561. William B. Hesseltine, Lincoln and the War Governors, p. 165. James M. McPherson, Battle Cry of Freedom, p. 561-562. Bruce Tap, Over Lincoln’s Shoulder: The Committee on the Conduct of the War, p. 139. James M. McPherson, Battle Cry of Freedom, p. 562. Francis Brown, Raymond of the Times, p. 238-239.